As a 19-year-old high school graduate, Connor Noonan had no idea what career path to explore. “Apart from not wanting a desk job, I had no real idea about what I wanted to do. I was just applying for any job that would take me, and figured something would come up,” Connor says. At an interview, Connor was told about the Citi New Recruits Program. Having never been employed before, he saw the program as a valuable experience that would look good on his resume and open up job opportunities, so he signed up. 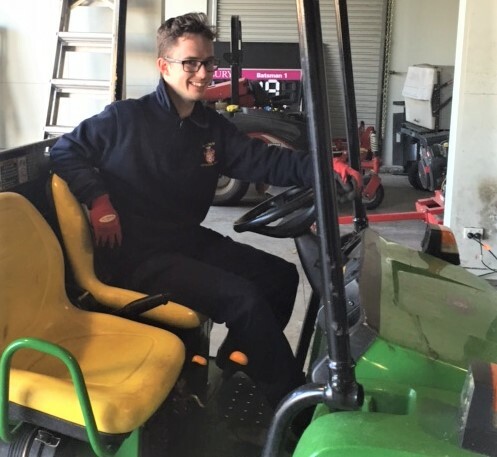 One year on, the 20 year-old Berwick resident is thriving as a parks and gardens apprentice at Haileybury College in Keysborough. And just last week he was announced as one of four scholarship winners on 11 July who will travel to Sydney for a cultural and career development experience for a week. “I was very surprised but also excited because it’ll give me a good opportunity to expand my knowledge on what I’m currently learning at TAFE and work,” says Connor. The Citi Foundation scholarships are awarded to young people who have completed a three-week Citi New Recruits job-readiness program and have since excelled in their traineeship. 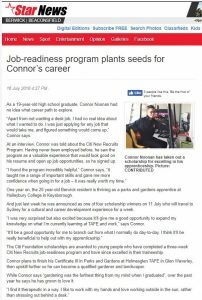 Connor plans to finish his Certificate III in Parks and Gardens at Holmesglen TAFE in Glen Waverley, then upskill further so he can become a qualified gardener and landscaper. While Connor says “gardening was the furthest thing from my mind when I graduated”, over the past year he says he has grown to love it.